The message carried on the 1993 2D video game “Jetpack,” created by 16-year old Adam Pedersen and distributed by Software Creations on floppy disk, pledged an updated sequel to fans in a couple of years. Pedersen tells me that, as a sixteen year-old, he was a big fan of “Lode Runner,” “Jumpman,” and “Boulder Dash” and wanted to make a game like those. “A game that I would enjoy playing,” he describes, his voice filled with excitement. In 1997, after Software Creations had gone out of business, Pedersen put the game online. By 2003 it had reached over a million downloads. After fighting with chronic fatigue and other health problems that kept him from building a sequel, Pedersen was ready to build a revamped game in 2008. He took it to major distributors. Most passed on the sequel. One deal came close but then fell through. 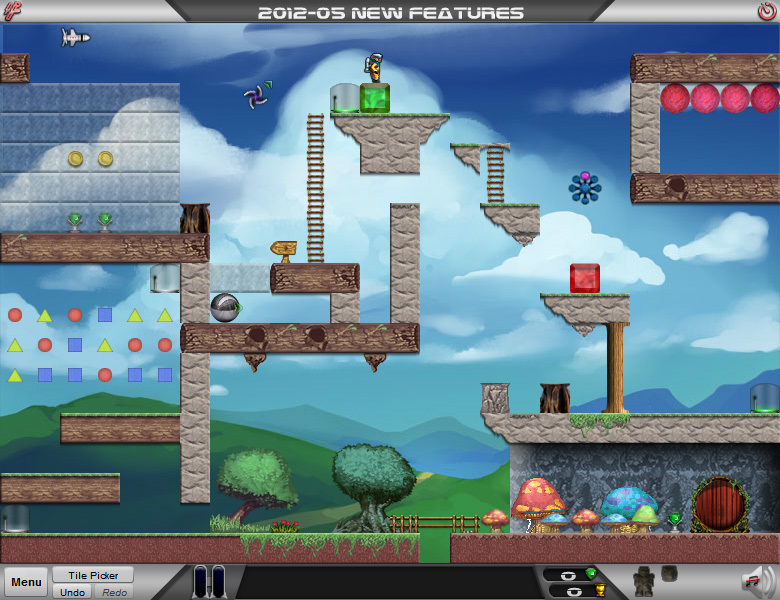 Pedersen decided to bypass distributors and work part-time on “Jetpack 2.” In 2010, he left his job working with the Obama campaign at Blue State Digital to work full-time on the game. Pedersen told me if he doesn’t hit the $40,000 benchmark, he will most likely do another Kickstarter with a lower goal and scale back some of his graphic goals and enhancements. Backers can donate increments from $15 to $5,000 with varying rewards. The base pledge will get you a copy of the game for immediate download when it is released and a few other small rewards. $50 will earn you a personalized “easter egg” that the character collects. For an affordable $5,000, Pedersen will make you into the game’s evil scientist nemesis. “I’ll distort your voice, and my artist will make a cartoon animation of your face, along with evil scientist hair,” he writes on Kickstarer. At the time of publication, Jetpack2 had 51 backers and had only raised $1,810. So if you’ve got five large lying around, you still have time to grab the lone evil scientist spot. Will you play Jetpack 2? What other classic games would you like to see brought up to 2012 standards? Let us know in the comments.